Downtown San José accommodations and massive, nearby apartment hotels offer student groups top-notch amenities with assuaging Costa Rican hospitality. For student groups traveling to San José, there are two vital factors to consider: location and room availability. Is the accommodation near the sights and attractions your student group wants to see? Is it easy to get around from this area? Is the hotel capable of hosting large groups between 40 to 50 students? These are irrefutably the very first things planners need to deliberate when choosing accommodations in San José. Whether student groups want to be located in the heart of the city center closest to San José’s trendiest neighborhoods, or slightly separated from the chaos of the capital city and nearer to surrounding attractions throughout the greater province, there is something for everyone’s wants and needs. Here are our top five accommodations picks with excellent locations suitable to house large student groups, all while providing an exclusive Tico experience. KC Hotel San José. Credit. 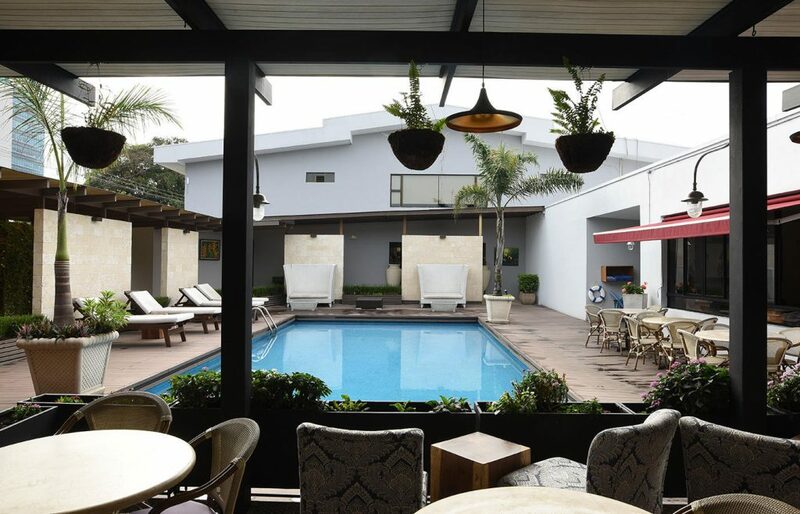 Creating an unforgettable stay through impeccable service and superior amenities, KC Hotel San José is ideally situated just south of La Sabana Metropolitan Park in the Sabana Sur neighborhood. It is perfectly located nearby other leading San José attractions, making it a breeze for student groups to navigate the city from the hotel. KC Hotel is dedicated to creating a pleasant and luxurious atmosphere at affordable prices for both short and long term stays, combining personalized service, elegant facilities and a warm, welcoming atmosphere. The hotel has five different room types to choose from with various amenities, including kitchenettes, free Wi-Fi, flat screen televisions, deposit boxes and electronic locking systems. KC Hotel offers discounted prices for stays exceeding three nights, an excellent benefit for student groups that are staying longer term. Other than the hotel’s room amenities, it also offers a 24-hour reception desk, an outdoor swimming pool, laundry services, an on-site restaurant, luggage storage, car rentals and city tours. To make a reservation at this outstanding San José destination, click here. Another San José lodging option with a prime location, Hotel Aranjuez opened its doors in 1992 with only nine rooms distributed throughout two different houses. In the past 20 years, three more houses have been added to the original structure and now feature 35 rooms in total. Each house was built during the ʼ30s and still remains intact with their original rich architecture. Featuring high wood ceilings, mosaic floors, dining areas, terraces and patios surrounded by towering fruit trees, Hotel Aranjuez truly provides a charming Costa Rican experience. Each room is beautifully designed with double leaf doors, French-style windows and clapboard walls. The hotel strives to preserve Costa Rican heritage and traditions through constant maintenance of its architecture, hospitable services and the conservation of its culinary traditions and Tico ambiance. Situated 700 meters from the National Museum and Jade Museum, 500 meters from Atlantic Railroad Station and the National Library and only 700 meters from the popular Barrio Escalante, Hotel Aranjuez offers student groups the ability to reach all the popular San José sights and attractions by foot. To book rooms at Hotel Aranjuez, check out their website’s reservation page. Although there are innumerable lodging options throughout San José that offer enough rooms for large student groups, there still remains the risk of hotels being booked, depending on what time of year groups are visiting. If traveling during high tourist season or for various holidays, hotels will fill up quickly. As an alternative, student groups have the option of staying at apartment hotels or “aparthotels”—serviced apartment complexes that offer hotel-style booking systems. Casa Reflejos Aparthotel is a great option for student groups that wish to reside slightly outside the city center to avoid noise and crowdedness. Located in the greater province of San José in the canton of Escazú, Casa Reflejos is situated less than four miles west of San José city. This apartment hotel offers one, two and three bedroom suites housing up to seven guests each, fully-equipped with a private bathroom and entrance and a complete kitchen. Casa Reflejos is committed to providing guests a comfortable, quiet and peaceful stay, with some spectacular mountainous views of the surrounding area. Student groups can make reservations at Casa Reflejos Aparthotel here. An additional apartment hotel similarly situated just west of San José in Escazú, Apartotel & Suites Villas del Río aims to make guests feel right at home and is conveniently located near shopping centers, schools, office centers and trendy restaurants. Sarapiquí, the apartment hotel’s on-site restaurant, offers a Costa Rican inspired breakfast with an assortment of fresh fruits and breads, served daily and included in the price of the stay. Apartotel & Suites Villas del Río also features two swimming pools, a Jacuzzi, private business center, an outdoor playground, is pet-friendly and provides handy airport shuttle services. The apartment hotel has six different suites and penthouses. All rooms come furnished with a kitchen, private bathroom and a large living room area. Spectacular views of San José can be seen from certain rooms. To make a reservation at Apartotel & Suites Villas del Río, head to their website. A different form of lodging in Costa Rica, Apartotel Tairona is located in Barrio Dent just 10 minutes outside of San José’s city center. Located near various embassies, universities, shopping malls, restaurants and entertainment venues, this apartment hotel features a modern and cozy environment with a professional staff providing personalized attention for large student groups. 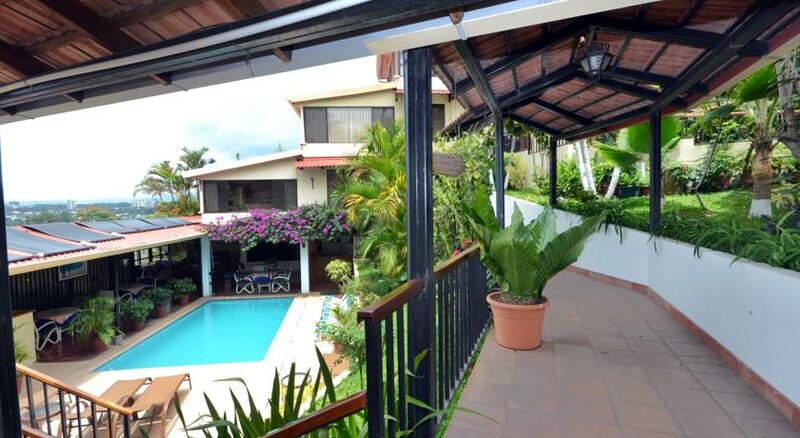 Composed of 30 apartments, Apartotel Tairona offers daily, weekly and monthly rental rates. Their superb amenities include continental breakfast from 6:30 a.m. to 9:30 a.m., 24-hour security, a reception desk, wireless internet, airport shuttles, laundry services, a daily maid service, safety deposit boxes, money exchange services and city tour reservations. Offering five different studios and suites with a maximum capacity of 4 guests per room, each apartment comes with a large bathtub, cable television, a kitchenette and dining room area. For online reservations at Apartotel Tairona, click here.